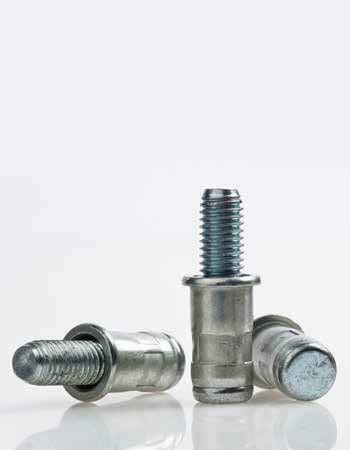 ROTEC ENGINEERING LTD, Fasteners, metal, CNC machined parts, Fasteners, on EUROPAGES. Rotec Engineering specialises in complex 3, 4 and 5 Axis alongside the latest Slidinghead technology, with the capability to machine in a variety of exotic and conventional materials. Supplying various industries including Oil and Gas, Aerospace, Automotive including Formula 1.​​​​​​ Rotec can provide its customers with a one stop shop offering CAD CAM design capabilities, Rapid Proto -typing, Welding, Brazing, Assembly and Stock Holding. Accredited to BS EN ISO9001: 2015 Quality Standard, Rotec strives continuously to exceed its customers' exacting requirements for cost, quality and delivery. Our machining Capability includes: - Sliding head - Fixed head - CNC Milling - 5 Axis -Robotically loaded CNC -Tool Shop -Welding and fabrication Products and parts are manufactured to the customers specification and include but not limited to: - Jigs -Fixtures -Fasteners -Nuts and Bolts -Die Making Consumables - Flanges -Metal Components -Stripping Pins -Clamping Components -Sub-Contracting work Rotec workes with a wide range of materials: - Aluminium - Steel -Aluminium Brnze -Titanium -Copper -Brass -Stainless Steel -Standard & Super Duplex Stainless Steel - and much more... Rotec supplys a wides range of industries including: - Agricultral - Marine - Oil and Gas - Automotive - Racing F1 - Industrial Applications - MOD - Retail Displays - and many more..